What a wonderful wedding! 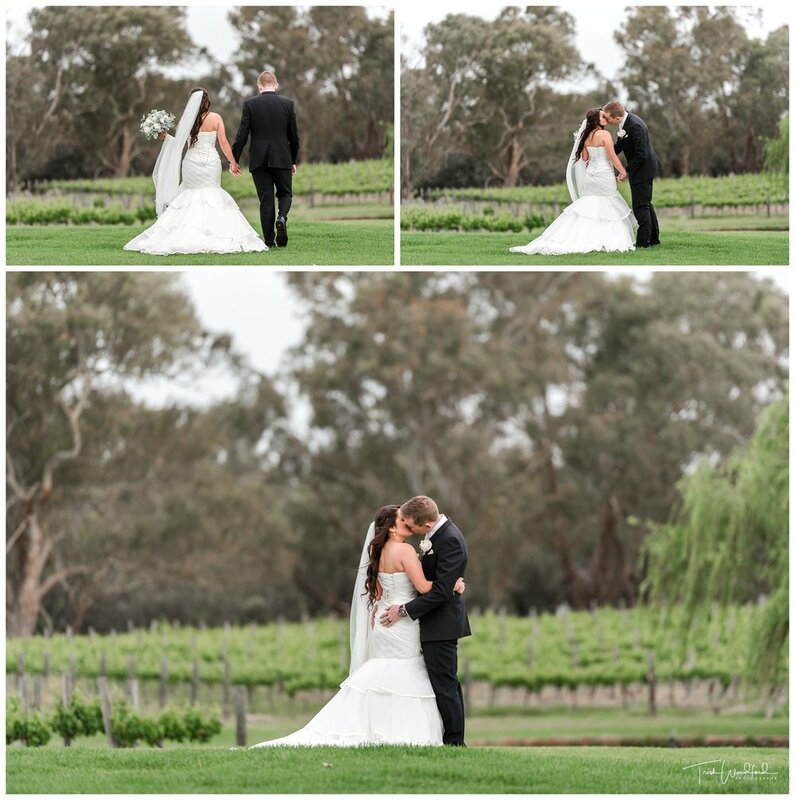 Sapphire & Nick tied the knot at the incredibly picturesque Sandalford Winery in the Swan Valley in October. Their ceremony on the Merlot Lawn was officiated by the wonderful Brad Whitelock, it was a really joyful ceremony filled with alot of love and many laughs. Sapphire's dress by Essense of Australia was absolutely stunning and her bridesmaids wore a beautiful shade of deep blue. We were very lucky that the rain held off throughout the vows and only interrupted our stroll through the vineyards for the bridal party photos for a short time. Speaking of the bridal crew, they were fabulous...so easy to work with. One of the groomsmen even suggested a great spot for a few of the photos! Many thanks to Julie van Oosten, my second shooter for her hard work on the day.